Gift someone good luck with one of our smart leather keyrings. It features the figure of the lucky Indalo, known in many parts of the world and especially in Spain, as a symbol of protection and good fortune. Remind your friends or colleagues to be positive and think lucky by sending them this small but meaningful present. 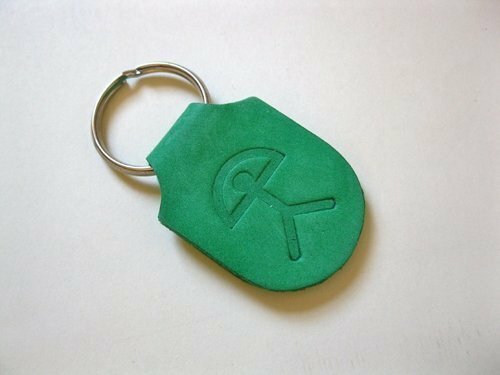 Gift this smart Spanish leather Indalo keyring to give someone the boost they need to be lucky and achieve success. Comes gift-wrapped, like all our presents (with an information card about the Indalo) - and we can print a personal message on your behalf.